You dream of closet organization where everything is labeled, color coded and ready to be the next display in the IKEA showroom. You decide one day to tackle this problem and make big plans to achieve this goal one Saturday morning. Saturday morning arrives, you’ve had a cup of coffee and you make sure the family knows you will not be available for the next several hours. Then you step inside your closet and pull everything out… hours later there are multiple messes, time has run out and the dream closet is turning into a nightmare! Has this ever happened to you? It has happened to me many times on my mission to organize. 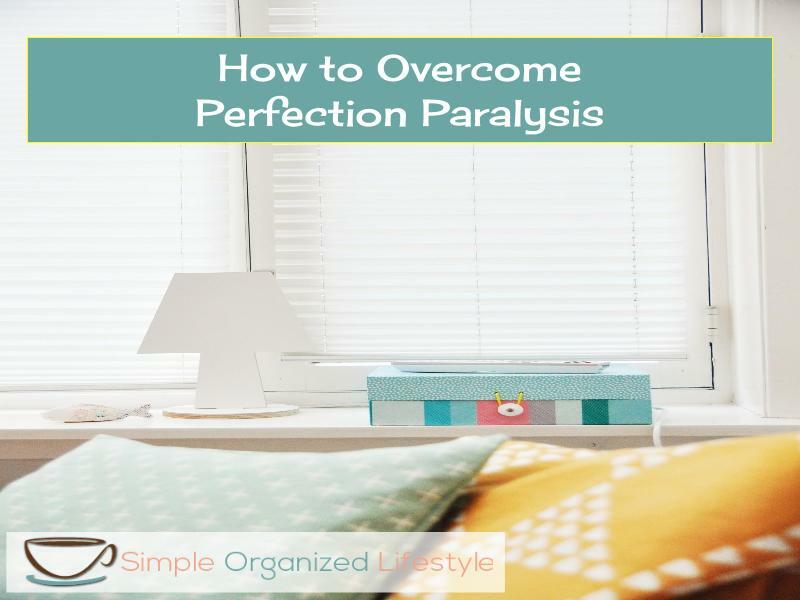 The one thing that keeps us from getting organized is perfection paralysis. It’s a vision of a home where every room is spotless and clutter is non-existent. Essentially, everything is perfect. There is nothing wrong with visions of such organization unless that creates a sense of overwhelming anxiety that prevents you from getting anywhere on the path to the simple organized lifestyle. Magazine pictures, ads and even Pinterest (as much as I love it) can lead us to believe that an organized space must be picture perfect. If you’re on a real world schedule, messes are taking place at your home because real life is taking place! The key to overcoming the perfection paralysis is to think in terms of PROGRESS instead. With a real world schedule, chances are clothes are still in the laundry room and probably in the floor! Thinking in terms of progress, your Saturday morning may be better spent getting everything on hangers and into the closet. Once this is accomplished, you can move some clothing and shoes around to make the space work out better for you. Next week, you can continue the process by sorting, purging and making improvements on your mission of closet organization. The key with any big goal that you may have is breaking it down into more manageable tasks so that you can make progress towards the ultimate goal. After you have your closet in order, proceed with label making, color coding madness to your heart’s content! The picture perfect closet scenario can apply to any situation where you desire to have more organization and order to your home and lifestyle. Those visions of perfection are just not possible without making progress and, on a real world schedule, progress makes perfect!